We have our own dog, Dougal. He is a German Shepherd, and he came to Soulton 18 months ago. He's a rescue dog, and is now very happy and settled in his new home. He is the first rescue dog we have had, but it has been a very rewarding experance! 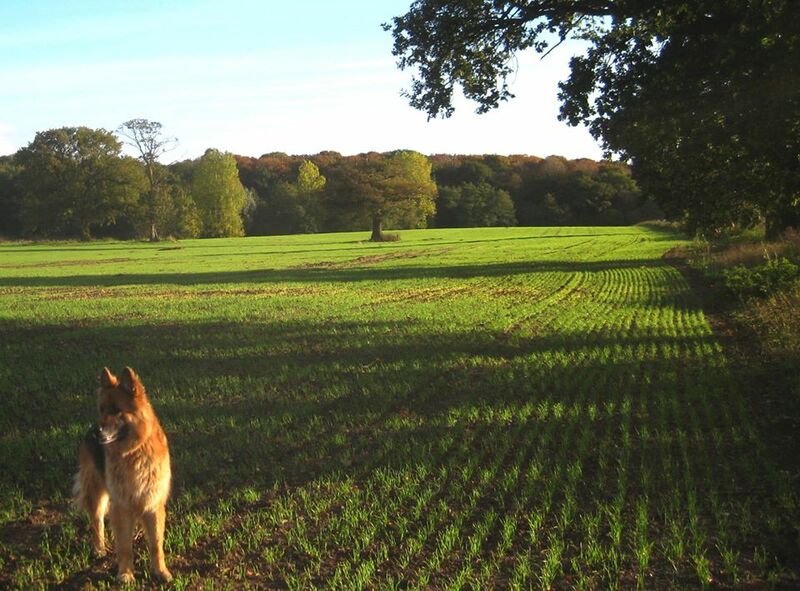 He certainly enjoys the farm's wide open spaces, and 'room to run'.